DOJ speaks about Wire Act - But NJ business continues as usual! 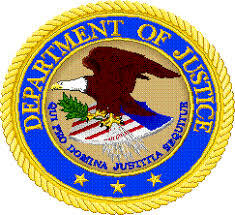 In recent news, the U.S Justice Department (DOJ) announced a reinterpretation of the 1961 Federal Wire Act. According to an old opinion, the law applied only to sports betting. On Monday, the opinion once again changed. And all forms of online gambling points to illegal activities, not only sports betting. However, this new interpretation of the Wire Act might be a good thing for states that already have strict regulations in place, like NJ. On that note, let’s jump into the details and clear the smoke circulating the industry! As we’ve all read, there’s been a huge breakthrough in terms of defining the Interstate Wire Act. But what we’re not reading is, how this will affect the booming online casino market in NJ. With that said, we would like to inform all those who reside in and visit the Garden State there’s no need to panic! The new understanding of the Wire Act is a good thing for states that have solid restrictions in place. Not to mention, interstate gambling is something NJ already recognizes as illegal. Also, the state has strict measures in effect that prevent such dealings. Furthermore, online gambling in NJ is only available to those within the borders of the state. But, unfortunately, some states have been selling lottery tickets online to other states that don’t allow online gambling. Like we mentioned above, this is a good thing for casinos in states where regulations are in place. After all, it wouldn’t be fair to casinos and other industry-leading companies who follow the rules set by regulators if lotteries could cut profits by dodging restrictions. In addition, if NJ allowed such practices to go unchecked, then the state wouldn’t be so attractive to content developers and providers worldwide. Not to mention, this new development is being spearheaded by LV casino owner, Sheldon Adelson. Apparently, they have a problem out west and are finally addressing it. But in NJ, it’s all business as usual!